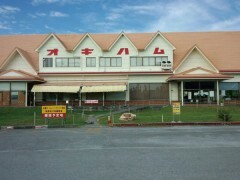 Okinawa Ham Co, Ltd. is a processed foods company commonly called Okiham. Its best known products are ham and sausages, but they also make plenty of other foods and drinks including sweets and snacks. 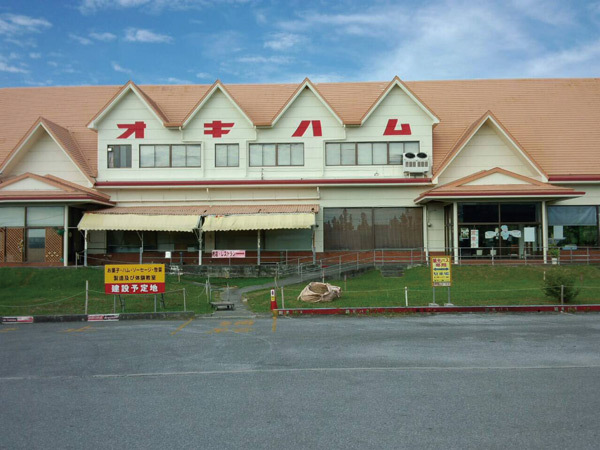 The company was established in Nago in September 1977 and its first factory opened in Nago in the same year. Their current head office is located on Highway 58 at Zakimi, Yomitan village, and they also have branches in Tokyo and Osaka. To get to the head office go north from Kadena, and there are black and white pig and ox statues on the lawn in front of the company building. At same location, there is restaurant that serves Chinese soft-shelled turtle meals because Okiham started farming them in 2011. The restaurant menu also includes such items as chicken cutlet, curry and kids’ meals. Other Okiham made foods include ready-made Soki (Okinawa-style stewed pork spare ribs), squid ink soup and Tebichi (braided pig feet). Those foods all are take time to make from scratch, so people appreciate buying them ready-made. For example, Okiham’s Okinawa Soba Set has all ingredients included; noodles, meat, and soup. The Taco Rice Set includes cooked taco meat, so one just has to prepare lettuce, tomato, and cheese. Okiham also makes Okinawan doughnuts, brown sugar, jerky and sheqwasa drinks.